Mary can’t be doing with that. She looks at her watch. She counts the people ahead of her in the room with its notices about heart health and obesity. Calculates that she has at least ten minutes. She walks. Out the door and along the footpath. The library and back should do it. After she has seen the doctor she walks to the pharmacy to collect her medicine. This involves another wait. She rejects the uncomfortable chair the pharmacist offers her. She walks. Up the hill to the Church, round the graveyard and back down. She crosses the road before she reaches the cake shop. Crosses back when it is well behind her. Most mornings she walks to the newsagent to collect the daily paper. In her tiny kitchen she makes a cup of tea and scans the headlines. She turns to the crossword. Puzzles over clues. Wishes she understood what the setter was getting at when he devised them. She lays the paper aside. She rinses her cup. Puts on hat, coat and shoes, steps through the door making certain it is secured behind her. She walks. Round the corner and along the leaf strewn lane, picking her way around pot holes, wishing she had worn wellingtons. An SUV pulls alongside. She waves away the offer of a lift. The vehicle accelerates away, its driving wheels spinning briefly, sending a stream of muddy water against her legs. Afterwards the wet fabric of her cotton trousers is cold against her left calf. “Paddy?” Her daughter has her eyebrows raised. “Shot off when I refused to get in that jalopy of his. This is the result.” She hands the muddy trousers to her daughter, struggles into the red replacement pair. It takes ten minutes to down the cup of tea her daughter proffers. “You don’t have to do this, you know,” Rosemary says. Mary is grateful that her daughter doesn’t add the oft repeated suggestion that she abandon the cottage and move in with her and her husband. “Why not stay for lunch,” Rosemary pleads. She is already at the door. She waves. She walks. Back home she switches on the TV. A plump woman is giving a cookery demonstration. Mary wonders why. Don’t mothers teach their children to cook anymore? Why else would there need to be endless cookery programmes on TV? Mary learned to cook from her mother. She taught all her own children to cook. Even the boys. A lump comes to her throat as she remembers the prize Connor won for his rock cakes at the village show. How old was he? Ten? Eleven? Ten. It couldn’t have been eleven. That was after, after … She can’t bring herself to say it. Even silently, inside her head, the words will not come. Only the ache of loss. She switches off the TV. Takes down the hat and coat from their hook. Secures the front door and walks. She walks to the village shop. Buys flour, butter, eggs, sugar, a bag each of raisins and sultanas, a tub of cherries, another tub of mixed peal. Back in her kitchen she takes down the mixing bowl from the high shelf in the press. Her vision blurs. She is shocked by the sensation of hot tears streaming down her cheeks. It must have been the wind. That’s right, the wind was blowing on her face as she walked back from the shop. She pulls a lace-edged hanky from the sleeve of her blouse. Wipes her eyes, her cheeks. Blows her nose. She takes a tablespoon from the drawer and begins to measure the ingredients into the bowl. “That’s it,” Mary said as she watched Connor cut the half pound of butter in half along its length then three times across the width to produce 8 one-ounce cubes. She continued to coach him as he rubbed the butter into the flour before adding the egg and the other ingredients. After he had been stirring for a while he stopped. “Janey, Mam, this is hard work,” he said. And a wife worth having will be glad to have a man who can do his bit around the home, she thought. Cathal gave her one of his looks. A look that said “It may be a pittance but it is enough to keep you fed and a roof over your head.” It was her turn to feel her face burn. When she suggested to Connor that he could enter a dozen of his rock cakes in the children’s cookery section at the show he shook his head. “Aw Mam. Do I have to?” was all he would say. She said no more. Cathal gave her that look again. “What have you done?” he said, shaking his head before striding through the crowd. Rosemary began to cry. Connor never cooked again. Insisted on helping his father around the farm whenever he was not in school or doing his homework. All through the next winter he traipsed around outside. In lashing rain he carried bales of hay to the sheep. On frosty mornings he helped with the milking, checking the level in the tank before and after the Glanbia tanker came to make the daily collection. One day he slipped in the yard. He limped into the house, got clean trousers from the hot press and changed silently. When she went to help he shrugged her off. Several nights a week he went training with the GAA. Always came back exhausted. Never won a place on the team. One Sunday morning in March she was cooking breakfast when the door crashed open. Cathal was breathing heavily. “What is it?” she said. “Connor. Call Seamus and the doctor. He’s under the tractor. I need Seamus to help lift it off him.” He had not come right into the kitchen, shouted his message from the door. Now he turned as if to leave. “Top field. Where we had the sheep on turnips.” She stared at the door as it slammed behind her. Her hand shook as she lifted the receiver and began to dial. The smell of baking greeted her as she opened the door. She had timed her walk so that she would be back just in time to take the cakes out of the oven. It had been thirty five years since she last made a cake. Thirty five years of avoiding cake shops. Of refusing offers of cake made by others. Thirty five years of walking several times a day to calm the nightmares that stalked her. She filled the kettle and waited for it to boil. 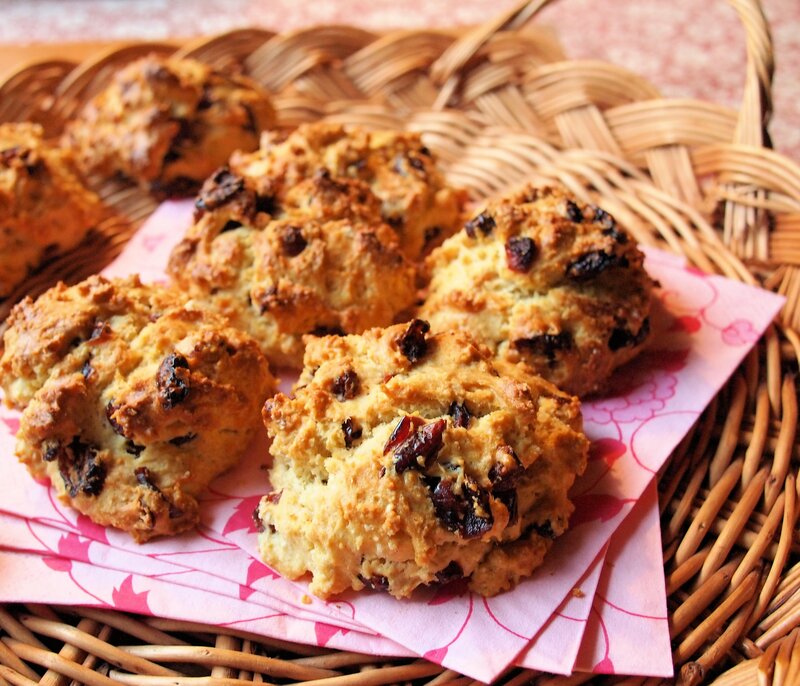 A cup of tea would make a nice accompaniment to one of those rock cakes. She might even have two. Then she would ring Rosemary to talk about moving. By franklparker in Original writing on August 5, 2015 .